Prisha Kesarwani, Std 2 A, continues to make the right moves on the chess board and picking more medals on the way. 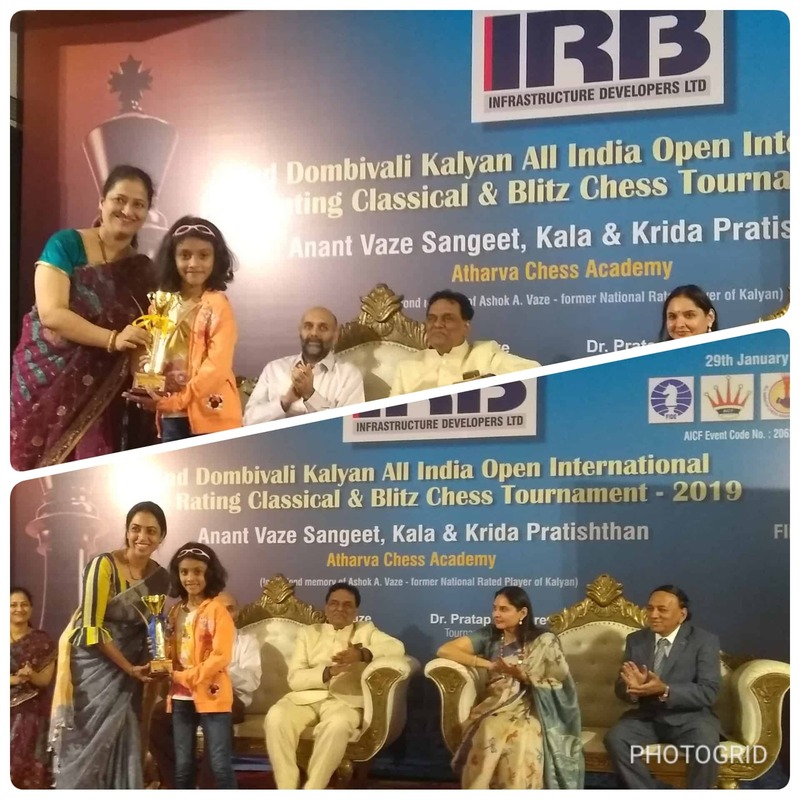 At the 2nd Dombivali Kalyan All India Open International FIDE Rating Tournament held in Kalyan from 29th January to 3rd February, 2019, Prisha participated back to back, in Classic as well as Blitz Tournaments. This was her debut at the All India open- rated tournament which had eminent international masters participating as well. The Classic and Blitz tournament each had more than 250 participants. Prisha bagged 2 trophies in under-9 girls category – 2nd position in Blitz Tournament and 3rd position in Classic Tournament.